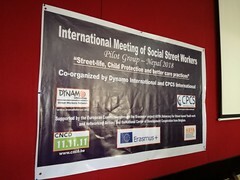 Dynamo International – Street Workers Network | Advocacy: How to follow up the UN text on children in street situations? The United Nations published in 2017 their General Comment No. 21 on the right of children in street situations. The General Comments of the United Nations Committee on the Rights of the Child complete legally the International Convention on the Rights of the Child. 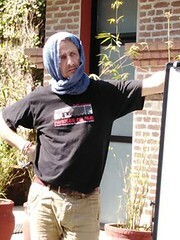 Dynamo International had actively contributed to the development of this comment. In collaboration with the Consortium for Street Children (CSC), in April 2016, Dynamo International organized the European consultation on the draft General Comment. The purpose of the consultation process was to gather as many feedbacks as possible from street social workers and children in street situations. Their views and remarks contributed to the content of the General Comment. The report resulting from this consultation is extremely important because it gives voice to children and young people in street situations, often invisible and inaudible, in Europe. Now that the text has come out, the next step is to secure its application at country level. Monitoring is done in close collaboration with the Consortium for Street Children, specialized in the political watch of street-connected children. This implementation involves differents profiles of professionals, such as the legislative body, academics and public authorities.